Customize your Mazda to reflect your personal style and save 15% off on all Genuine Mazda Accessories. Don’t forget to take advantage of our professional installation services! Plus applicable taxes. 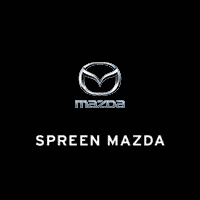 Valid only at SPREEN MAZDA. Cannot be used with any other applicable offer. Mazda vehicles only. Prices may vary by model. Hazardous waste fee if applicable. Please present coupon at time of write-up. Coupon expires 07/07/2019. Save today on parts and service! *Max discount $100.00. **Excludes tires. *Get lifetime alignments for $199.95. save on any recommended repairs.